Available as swivel or stationary chair. Was ever a chair so effortlessly inviting? 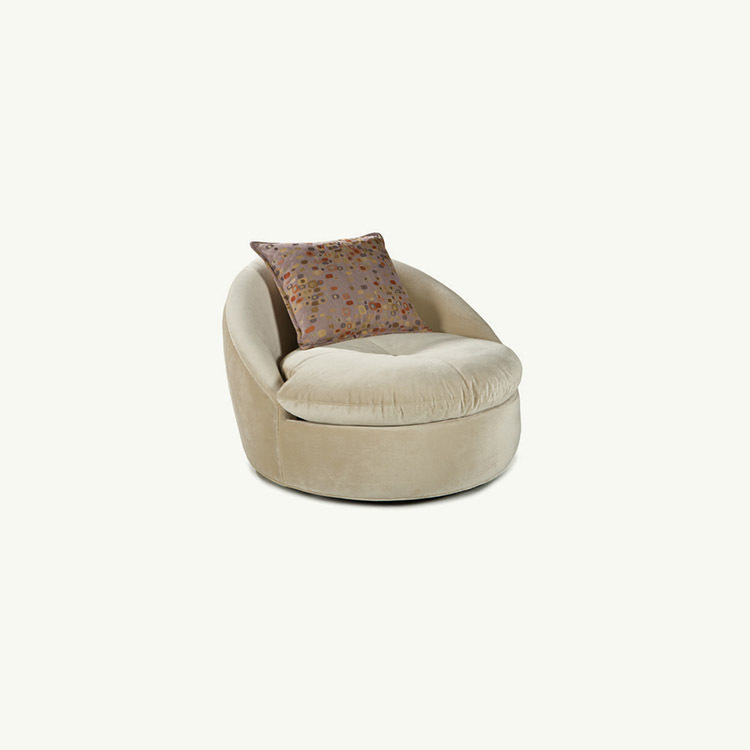 Our Jackie’s buttoned, pillow-top cushion and circular form are like a warm, welcoming embrace. With her fresh, casual elegance, the Jackie fills any room with hospitality. You can order her to swivel, or be still. Either way, she tends to inspire long, languid afternoons with a favorite novel or favorite friend. Available in your choice of fabric.